Nowadays, online business is becoming the trend because of its comfort and simplicity. Anyone can search, buy and take advantage of services within a real time. It helps a lot to businessman’s to expand their services very quickly. To attract visitors website should be well-arranged with design, functionality and information because the first impression of the website helps a lot to convert visitors into customers, so the website should be attractive. Creating and managing a website is quite tough if you really want to attract visitors and convince them to buy your product & services. 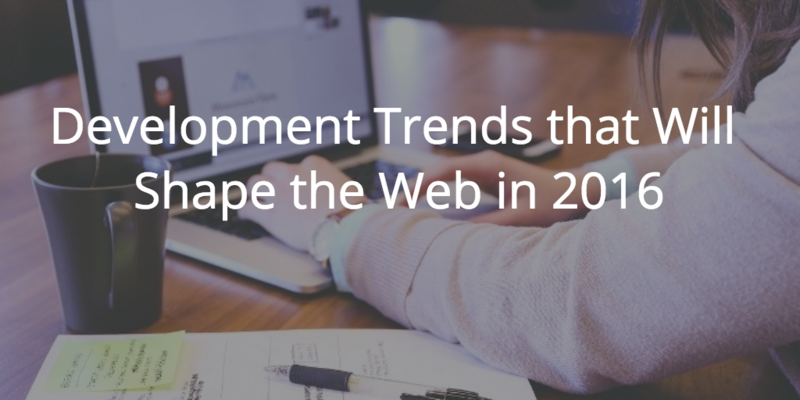 Here are some web development trends that every developer wants to implement on their website. Motion UI provides the no. of transition effects which are powered by special transition classes that the Motion UI Sass creates. Most popular classes used in Motion UI are Fade and Slide. Easy navigation design improves the UX on all the devices whether it is a full-screen PC browser window or a mobile phone. Web developers are developing sites with full-screen and easy navigation designs and this trend is going to continue. Real-time functionality is frequently finding in desktop and mobile apps. It is also implemented rapidly in websites to provide real-time services. For example – flightradar24.com is a website which provides real-time location of aircraft’s flying in the sky throughout the world. With the popularity of adblocker advertising companies lost their thousands of dollars along with Google. If you want to monetize the website with advertisements then web developers need to install an adblocker detector which requests the user to white list their website so that they can generate some revenue. Developers love to develop with their own favorite development environment. Nowadays more and more people are starting to use cloud-based IDE’s because they are fast and easily accessible. Because of specialized web development services, you could easily promote the look of your website and making it much more attractive and professional. The existing websites can be upgraded as well as enhanced with proper website development services with latest trends and those who are intending to launch a brand new website can also avail such services. Depending on where you plan to take your website in the next couple of years, you need to ensure that your site is scalable and developed in accordance with proper optimization principles. There are lots of web development companies that are certified and their professionals understand the requirements of the clients. They are very much capable of creating and managing a website for a person in a proper manner. Raxix Technologies web developers complete their work with full professionalism and provide the complete satisfaction to their clients. They understand the requirement of the customers and deliver the best to their clients.